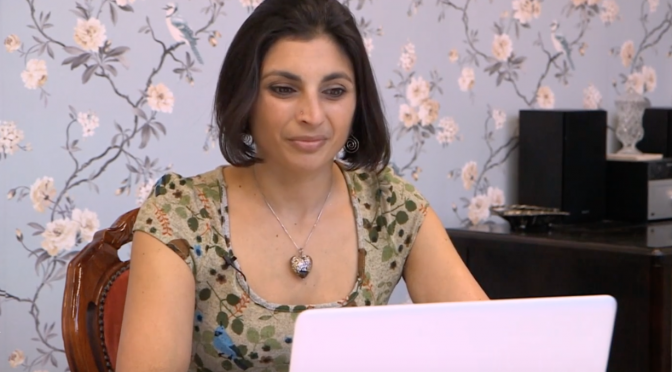 Priya provides one to one consultations from her home consultation rooms in Southampton or online using video calls or phone consultations. See below for the types of issues Priya can help with. Skype/Zoom video calls provide a more flexible way to see Priya face to face but from the comfort of your own home. The software for this is free to use. The majority of Priya’s work is done this way as she works with clients all over the country and internationally too. She also offers dietary analysis via email where a thorough analysis is conducted on your food diary and a report emailed back to you. As everyone is different and needs differing levels of support Priya does not have a set way of working. However she does work from a non-diet and intuitive eating background. This is based on the concepts that diets do not lead to long term change and that it is better to focus on changing health behaviours rather than just diet and a weight focus. Retuning your body to listen to its hunger and fullness cues, learning to respect your body and listen to its needs can be a longer route but leads to lasting changes for life. A initial consultation lasts up to 1 hour and includes an in-depth review of your current and previous diet and food related problems plus your weight and medical history. From this information Priya will give education, advice and help you set goals that are realistic and achievable. All advice is individualised and tailor-made for you. You will receive an email summarising the agreed goals set along with any agreed information. This may include a meal plan, worksheets or educational literature. Follow-up sessions can be booked and last for up to 30 minutes. The number of sessions you will need will totally depend on your needs. Prices: £95 for an initial consultation and £65 for follow ups. Package: £260 for 1 x initial consultation and 3 x follow up sessions. Priya is renown for her expertise in this subject and the majority of her clients will have an eating disorder. She takes a holistic approach, not just looking at nutrition in isolation but helps clients to look at the wider issues too. Many of Priya’s clients have worked with the NHS and need further support or have not met the criteria for NHS input. If you do not think you have an eating disorder but know your approach to food is not as it should be, then get in touch. Working as part of a team of specialists Priya can recommend a therapist for you to work with or can liase and work with your current therapy team as well as your GP. She works with the Wings Eating Disorders Unit in Romsey and also as part of the Marchwood Priory team. If you need help getting your eating back on track Priya is here to help with education, meal planning, practical help, support and an understanding ear. One of Priya’s specialist and much loved areas – book a weaning consultation for advice, recipes, top tips and support to help you get your baby off to a wonderful start with food. Having weaned 3 children herself Priya has first hand experience as well as the evidence case and the research to support her advice. If you are struggling with fussy eating Priya can also help with this. Family meal planning and suppoprt can also be supported. Priya can help with advice and support for those with IBS, this includes the low FODMAP diet which is a specialist diet that should be followed under dietetic supervision. Other consultations topics Priya can help with include: Chronic Fatigue, Learning Disabilities, Family Meals, Anaemia, Osteoporosis, brain injury and achieving a healthy balanced diet. If you have another dietary issues please do contact Priya to discuss. If Priya is not able to help she can help point you to someone who can. Some private medical insurance companies cover dietetic consultations, please check with your insurer. Priya is registered with AXA, AVIVA, WPA, BUPA, Exeter Family, Allianz and Pru Health.